Adventure of the Week: Touring the Coolest Museums in town to learn about "Miami Museum Month!" Even though I was born and raised in Miami, there are still plenty of places in my city that I have yet to discover or visit! Although my friends think I go to every event or place in Miami, it truly is impossible to do it all. 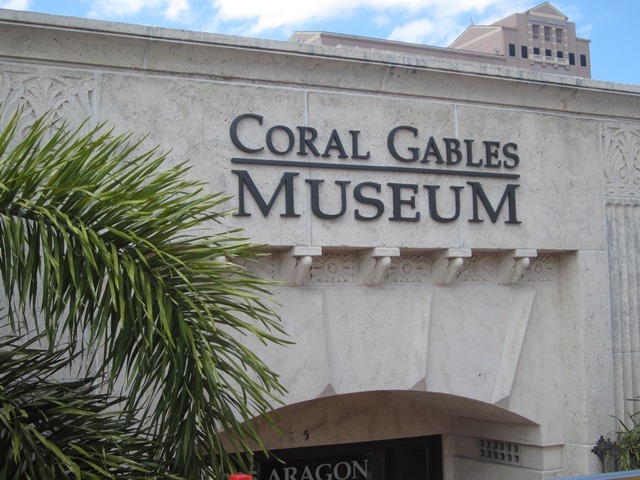 That's why I decided to take a little adventure this week and check out some local museums to celebrate "Miami Museum Month." 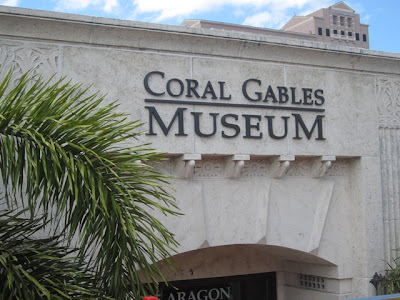 During the month of May, the Greater Miami Convention & Visitors Bureau (GMCVB) brings Miami Museum Month to visitors and residents so that means there are lots of special promotions and exhibits to take advantage of my friends! Here's the scoop: visitors can "buy one, get one free." This means you'll receive admission to two for the price of one to any participating museum. If you'd really like to get the most return on your investment, then you may want to purchase a membership to any one of the participating museums. Once you become a member of any one museum, you'll be able to visit any of the other participating museums for free during Miami Museum Month. On Tuesday, May 14th, I hopped on a Big Bus Tour along with a group of Miami bloggers for a special media tour. We headed to four different museums so join me as I take you along for the ride...one museum at a time! 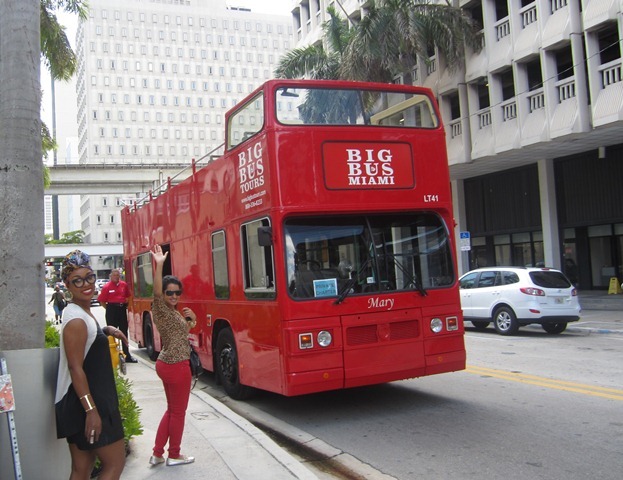 Our first stop was History Miami! 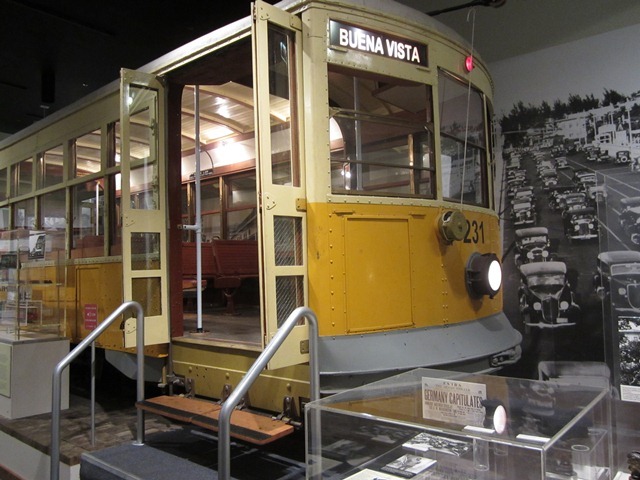 Check out the first trolley (above) to ever operate in Miami. That was my favorite part of the museum because we were able to sit inside the trolley and feel like we had traveled back in time. If you're interested in visiting History Miami, make sure to visit their official website. Aside from learning about the early settlers of Miami, you can also see a special exhibition this month called "Teen Miami" which highlights what life was like for teens living in Miami throughout the past few decades. 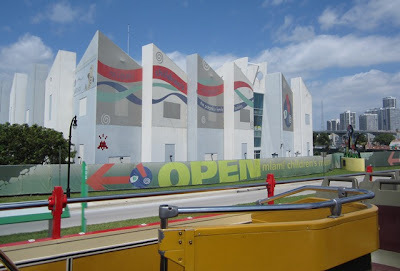 After History Miami, we hopped on the Big Bus Tour and headed to the Miami Children's Museum (pictured above). 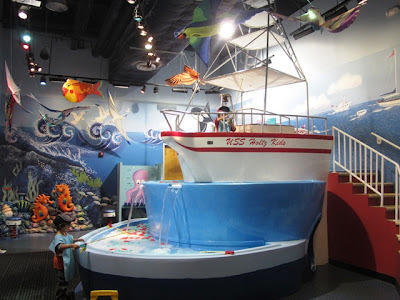 For any moms out there, you actually have free admission to this museum during the month of May in celebration of Mother's Day and fathers will be given free admission as well during the month of June due to Father's Day. To redeem the free admission, mothers or fathers must be accompanied by their children upon arrival to the museum. You can thank me later for sharing this fun fact! Above: The Castle of Dreams was a spectacular view as we walked into the Miami Children's Museum. The castle has a built-in slide so make sure you give it a go while you're there! Above: My favorite section of the museum is this fishing boat on the second level that features actual water with little fishes that can be caught by mini magnetic fishing rods. How cool is that? I know if I were a kid again...I'd love this boat so much, I'd ask Santa to give me one for Christmas!!! The greatest discovery of my day really happened when I saw what the new Miami Science Musuem will look like in 2015 (see image above). The museum is currently located across the street from Vizcaya but they will be joining the Perez Museum of Art over at Museum Park in 2015. Check out their website for more pictures and to see how you can start reserving a spot for your future wedding reception at the museum!!! Above: The Coral Gables Museum is showcasing the most fabulous cars this month as part of their "Italy in Motion" exhibit. I know my car lovers out there will appreciate this exhibit. Make sure to swing by the museum by June 23rd. For more details, click here! 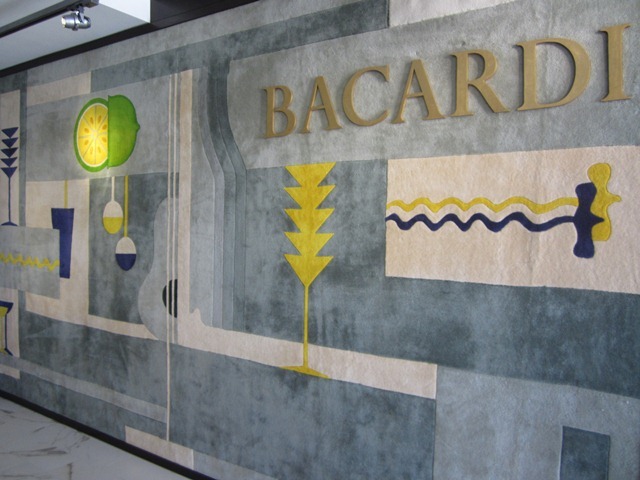 Our final stop for the day was over at the Bacardi headquarters located in Coral Gables. The brand has an incredible museum inside their building to preserve the rich history of the Bacardi family. 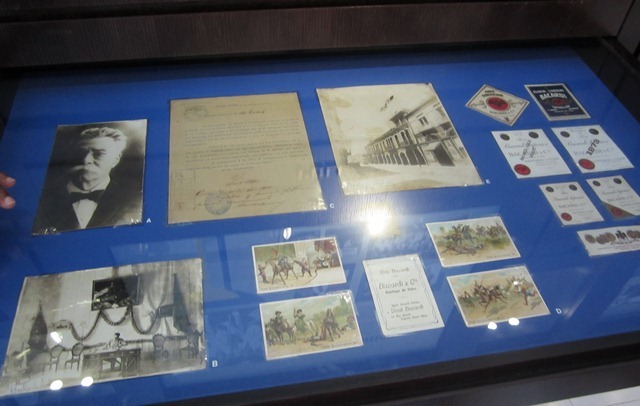 Although the museum is not open to the public, we were able to get an exclusive look at the family's memorabilia while sipping on a tasty mojito! Cheers Bacardi! Above: Pepe, the Bacardi bartender who greeted us with the best mojitos ever and a friendly smile! Well, this brings us to the end of our museum tour. I hope you enjoyed my adventure. Before I leave you, there's one more promotion I forgot to mention: the "Night at the Museum" promotion! One lucky winner will have the chance to invite a group of friends for a sleepover and private dinner party while screening the film "Night at the Museum" at the History Miami. The group will spend the night surrounded by the exhibits and will be immersed in history as the destination's founders come to life during an enchanted evening. 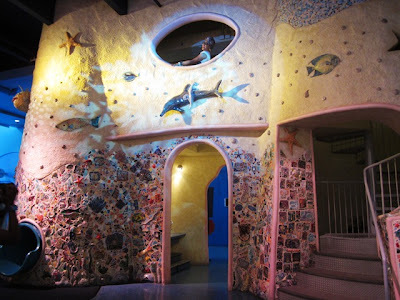 To learn more about how you can win a "Night at the Museum," visit www.MiamiMuseumMonth.com. Good luck Sazoneros!!! Does @stufmiami win the 5/16 Twitter #MiamiMuseumMonth $25 Gift Card contest? oh, I'd really love to go to the World of Bacardi Museum! Cheers, Bacardi, indeed!